This book provides a comprehensive analysis of the roots of institutionalization, deinstitutionalization legislation and policies of the twentieth century, and twenty-first-century efforts to promote community living policies domestically and internationally, particularly through the role of the United Nations Convention on the Rights of Persons with Disabilities (UNCRPD), a landmark treaty adopted on 13 December 2006. 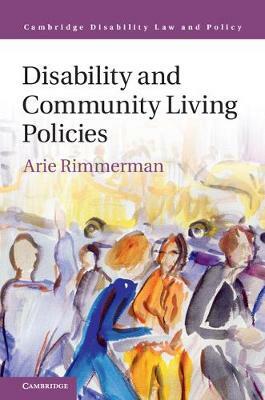 Rimmerman shows that deinstitutionalization and community living cannot be examined only in terms of the number of institutions closed but also through the substantial change in values, legislation, and policies supporting personalization, as well as the social participation of people with disabilities. The book includes a significant exploration of United States legislation and important Supreme Court decisions compared with European policies toward community living. Finally it discusses the importance of Articles 12 and 19 of the convention and demonstrates the case of Israel that has used the convention as a road map for proposing a new community living policy.